Home & Auto Locksmith Service & More! We’re proud to offer honest, affordable locksmith service! No matter if you are locked out of your car or home, need a new set of car keys made, or would like your property re-keyed, we’ve got you covered. Our mobile locksmith in Huntsville can be at your home, automobile or business in as few as 30 minutes to serve your needs. We can quickly get your vehicle or residential door unlocked at a low flat rate and without any damage. WE ARE STATE LICENSED BY THE AESBL & INSURED. YOU SHOULD BE AWARE OF LOCKSMITH SCAMS. Keys Locked in the Car? We’re on the way! Locking the keys inside your vehicle is super frustrating, it always happens exactly when you don’t need it to, like on the exact day when nothing else could possibly go…never mind. First of all, we are professionals. Unlock it For Me locksmith service in Huntsville, AL can unlock your car door quickly and affordably without scratching your paint or denting up your car. Calling a locksmith doesn’t have to be scary or expensive. We’re here to help! We can unlock nearly all makes and models even the new 2018’s! Additionally, we don't participate in highway robbery! Our prices are low and affordable. On Call, on time, and on budget. GREAT HUNTSVILLE LOCKSMITH SERVICE, OUT & ABOUT WHERE YOU NEED US! WE COME TO YOU! 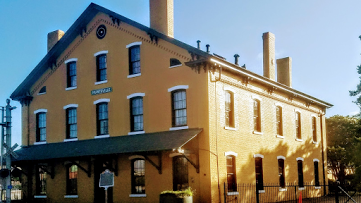 Twickenham, Five Points, and Old Town are all exciting destinations in Huntsville. From Historic Square, Big Spring Park, Shady Sidewalks, Urban Hiking, and Biking, visitors have an unending choice of fun and leisure. Huntsville is synonymous with Innovation, Education, Creativity, World-Class Technology, and World-Changing Science. We hope to make it synonymous with great locksmith service! If you find yourself in need of our service at any of these locations we know right where to go! While Alabama may not be famous for hiking like states like North Carolina, because of its lower position in the Appalachians Mountains, Monte Sano State Park has become a prime spot with for hiking in Huntsville. The park has spectacular views with 20 miles of trails, and 14 miles of biking paths all with varying levels of difficulty. No matter the difficulty, our team of professional locksmiths is always up to the task. Residential lockouts are no different. As we said with regards to your car, being locked out is horribly inconvenient. You need a professional to assist. You’re not the only one who’s ever been locked out of the house with food on the stove or had your child lock you out. We’re here to help, not judge. Our residential locksmith in Huntsville, AL can respond to your situation quickly. We typically can arrive at most Huntsville locations in 30 minutes. Depending on the type of lock you have installed, opening takes between 5-15 minutes, sometimes longer. We can open your lock, in typical cases, with no need to damage or replace the lock. Need a spare key? Lost all your keys? Today’s vehicles typically have a transponder or “chip” inside. No, not the kind you dip in salsa, a tiny electronic radio chip, that communicates with your car, much like a username and password to login to a website. Our technicians can assess your needs via a simple phone conversation and once we arrive, cutting and programming your replacement car keys usually take around 30-60 minutes depending on the vehicle. The dealership is not the only location to get keys. We can get OEM Quality keys with your vehicles brand logo. The exact same key you would get at the dealer for much less than the cost of getting the vehicle transported to the dealer on a tow truck. Lost car key replacement can be a pricey endeavor depending on your source of new car keys. If you have a newer vehicle, 2000+, chances are you have a transponder key for it. Transponder keys can be expensive to replace. Unlock it For Me can come to your location in Huntsville, Alabama. We have the equipment needed to cut and program transponder keys to your automobile. Getting a spare key before all keys are lost is smart, however, if it is too late for that, we can still help. Replacement car keys are affordable and delivered to you. Need to secure your property? What better way than to re-key the locks. Moving into a new home, where you don't know who has a key, is risky business. Don't put the safety & security of your family at risk. Having your locks rekeyed prevents someone who had a copy of the previous homeowners key from literally walking in like they own the place, and helping themselves to whatever they desire. Having your locks rekeyed is further enhanced by other security measures such as Digital Security Cameras or by installing high-security locks whose keys cannot be duplicated at local hardware and box stores. We are committed to serving our customers’ locksmith needs – we provide quick, high-quality service, at a fair price and always work to minimize costs when you are feeling vulnerable. We will never “bait and switch you” The price you are quoted over the phone, is the price you pay in person. No gimmicks & no hidden fees. All Locksmiths in Huntsville are not the same. First of all, you should know that Alabama state law requires that all companies and individuals who are providing locksmith services in Huntsville, AL or any other area. Some unscrupulous companies are advertising a low rate of $15 or $19 dollars, however, upon arrival, they state there will be a charge of over $100. No matter how you write up the invoice, the majority of the time there is no reason to justify charging as much as $200 to unlock a car or house door. Keep in mind there are special circumstances. Therefore a legitimate locksmith might charge two or three hundred dollars for quality residential locksmith work, a simple lockout would rarely be this pricey. The AESBL is the regulatory license board over Alabama locksmiths. If you feel you have been a victim of a locksmith scam. UnlockItForMe's locksmith service is not only available Huntsville! We also offer our services 24 hours a day in all of Madison County and the surrounding areas. Huntsville is a conurbation located primarily in Madison County in the Appalachian region of northern Alabama. It is the county seat of Madison County, with the metropolis extending to the west of neighboring Limestone County. Huntsville's populace was 180,105 as of the 2010 census. It is the third-largest city in Alabama and the main conurbation in the five-county, which at the 2013 opinion poll educated guess had aggregate inhabitants of 683,871. Huntsville is one of the eminent technology conurbations in the United States, and yet there is a component of it that has a very country feel to it, one of the primary reasons why many southerners decide to come in here, instead of living in a bigger city like Atlanta, Nashville or Birmingham. The Rocket City, as it is also known, is a city that is known for its high technical know-how in the areas of technology advancement. Thus, it is known for greatness in areas of sophisticated machines and equipment. The U.S. Space and Rocket Center, NASA's Marshall Space Flight Center, and the United States Army Aviation and Missile Command are all located in Huntsville. 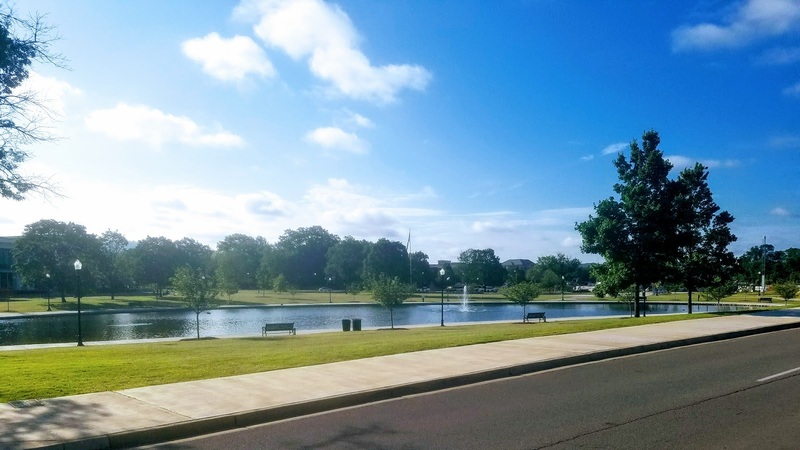 Huntsville only have around 200,000 residents, however, its place in history is already set in stone, and its future is exceptionally promising. This remarkable focal point of progress and innovation is a prominent cultural and technological center in North Alabama and indeed the nation. We hope to maintain a similar legacy with our grade A locksmith services here in the city. Residential locksmith services are more valuable than one might think. We're available to serve you 'round the clock on most services offered. 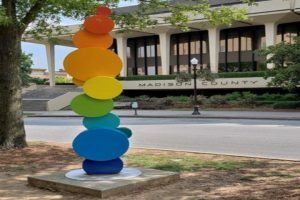 Huntsville is home to the southeast USA's premier arts festival, Panoply. Also located in the city is the nation’s largest private arts facility, Lowe Mill ARTS & Entertainment. There is a plethora of Science, Technology, Education and Mathematics related attractions in Huntsville among which is the Sci-Quest Hands-on Science Center and the U.S. Space and Rocket Center. If at any time or any location you find yourself in need of car key replacement services or become locked out, give us a call!